A beautiful and original necklace personalised with your own special message on the inside so that it is secret to the wearer. 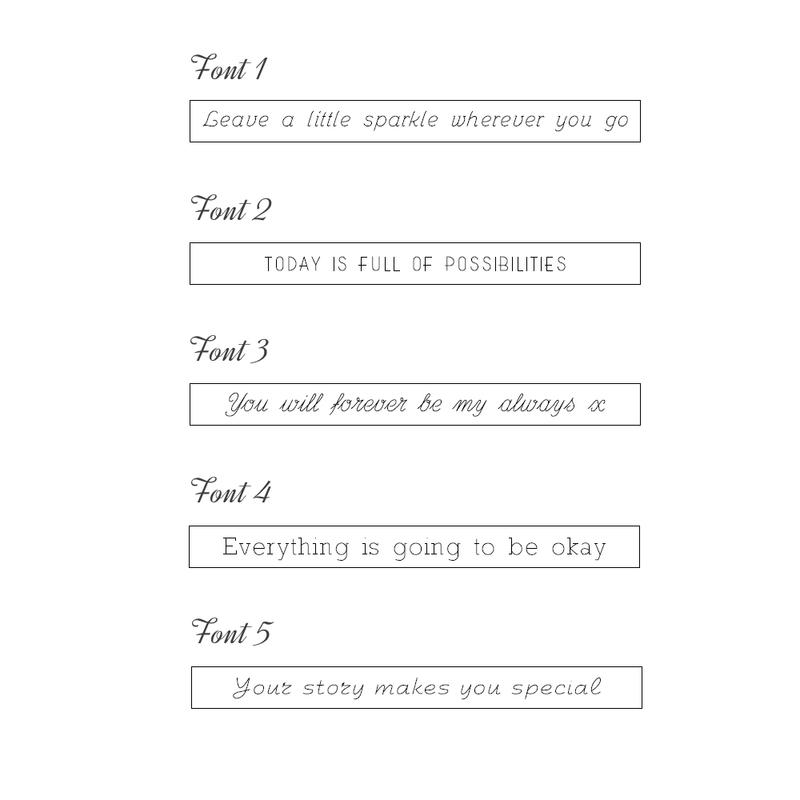 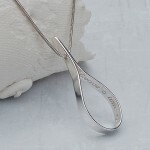 This necklace would make the perfect gift to show someone how much you care with words of love, wisdom, support or inspiration that are meaningful to the recipient. 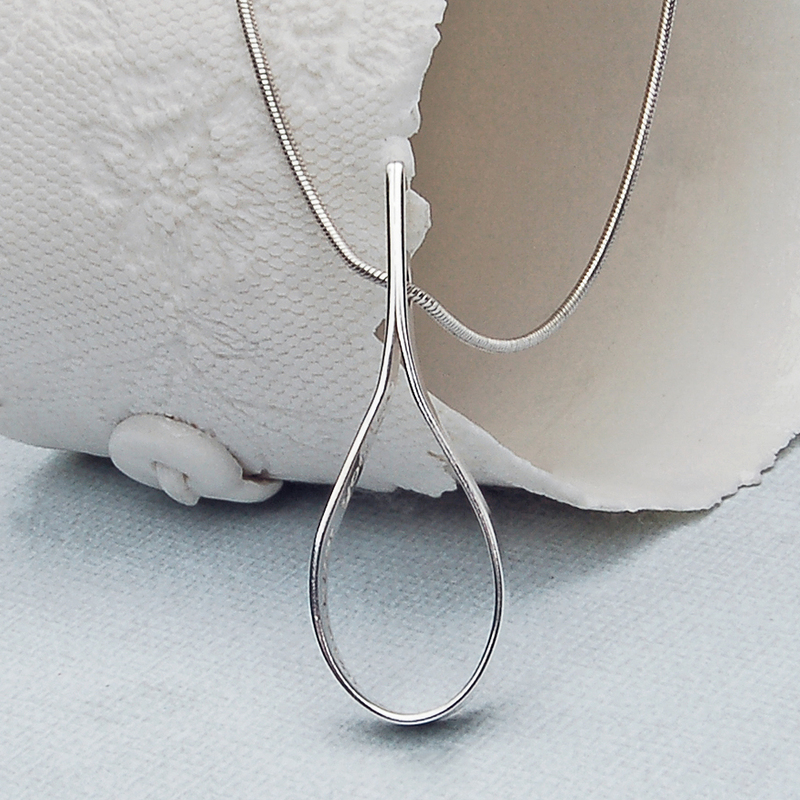 The latest addition to our secrets range, a contemporary silver teardrop shaped necklace personalised with a secret message on the inside. 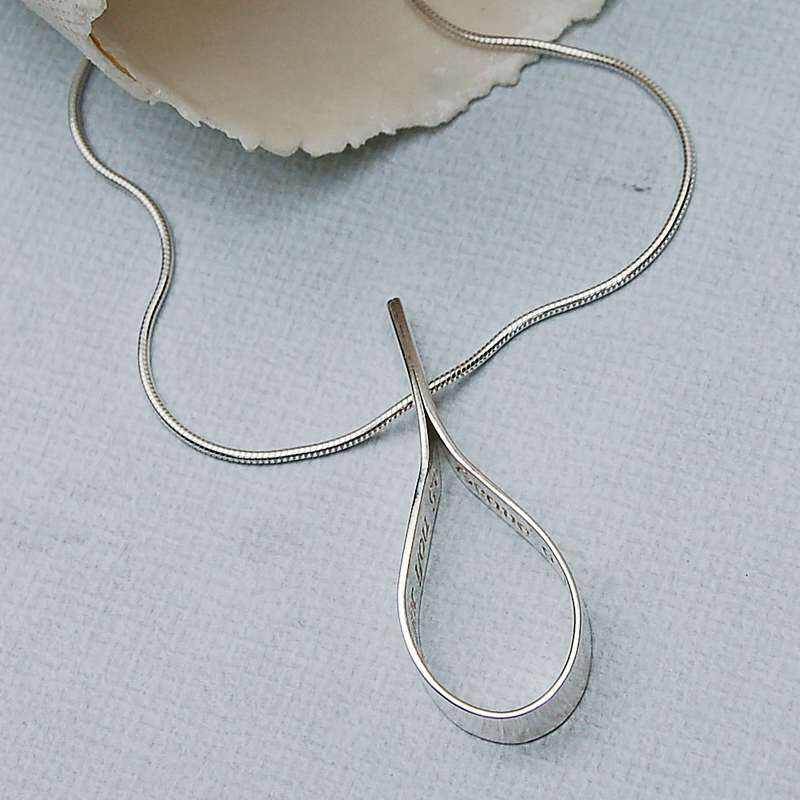 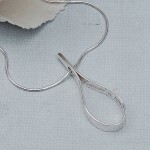 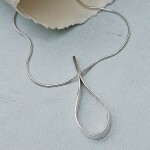 Your message will be beautifully etched onto sterling silver sheet which is then formed into a contemporary teardrop shape with a sterling silver snake chain running through the top of the pendant giving it a very sleek and elegant look. This silver teardrop necklace is available in two different sizes and can be personalised with a message of up to 38 or 45 characters respectively in a choice of font styles and the snake chain is available in three different lengths to suit all individuals. The medium teardrop measures just under 4cms from top to bottom and 1.4cm across the widest point and the large teardrop measures approximately 4.5cm from top to bottom and 1.5cm across the widest point.